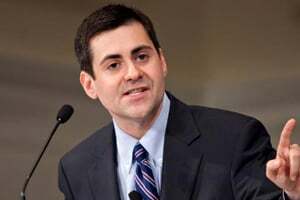 Russell Moore is president of the Ethics and Religious Liberty Commission of the Southern Baptist Convention. He previously served as provost and dean of The Southern Baptist Theological Seminary in Louisville, Ky. Dr. Moore speaks on issues relating to Christianity and culture on his blog, Moore to the Point. He is author of several books, including Tempted and Tried. As long as people have a low view of sin and the law of God, they will be unable to grasp their enslavement to the darkness of rebellion against our Creator. Seeing the true glory of the gospel requires us to see the darkness through which it shines in all its fullness. In this session, Dr. Russell Moore will help turn us away from a low view of sin and God’s law, reminding us of the heinousness of sin so that we might see the riches of divine grace. Kevin DeYoung is senior pastor of University Reformed Church in East Lansing, Mich. A graduate of Gordon-Conwell Theological Seminary, he is a member of The Gospel Coalition and blogs regularly at DeYoung, Restless, and Reformed. He is author of several books, including Taking God at His Word, Crazy Busy, and Just Do Something. The Apostle John warns us not to love the world, and our fallen tendency to view the world as an ultimate end in itself means that we must fight against our dark inclinations to set our hearts on this age and its pleasures. But God created the world to glorify Himself, and as we make Him our ultimate end, we can identify the sins that manifest our love for the world and enjoy the Lord’s creation in an appropriate way. Rev. 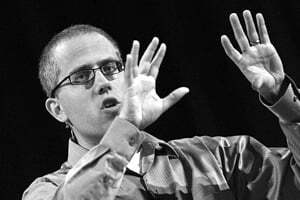 Kevin DeYoung will call on the Lord to restore us to a high view of the world as the arena of God’s glory, and He will describe how Christians, in pursuing the light of God, can identify and fight against sin in the world while loving our enemies and blessing those who curse us.